Jon Kirkman is well known in rock music circles, having started his life as a roadie and worked his way up to tour manager for his friend’s band in the seventies. Although the band started off playing the local venues in Merseyside, they were soon signed to RCA Records in 1975 and were hugely successful in Europe and Japan where they attained Gold status with their albums and played the legendary Budokan venue in 1977; the band at this time were all barely 18 years of age and Jon himself was only 19. Following this Jon went on to work in many Rock venues in Liverpool both as a promoter and also DJ. Jon has also appeared on many commercially released videos including work with Yes, Rick Wakeman, Chris Squire, Patrick Moraz, Van Der Graaf Generator, The Space Movie, Jack Bruce and Tony Palmer’s legendary and groundbreaking film “All My Loving”. With regards the bands appearing at the Cruise To The Edge Event, Jon has worked with the members of Yes on a number of projects including the official interview CD for the Jon Anderson boxed set “The Lost Tapes of Opio”, the Chris Squire solo album Fish Out Of Water, where he was seen interviewing Chris for the DVD and he also worked with Patrick Moraz on the release of the Future Memories DVD interviewing Patrick at length about the Future Memories project and also Patrick’s career including his time with Yes. Jon has also worked with Bill Bruford extensively, appearing in four Bill Bruford DVDs discussing Bill’s career. Finally Jon has appeared on a number of DVDs with Rick Wakeman including the Rick Wakeman Video Vault boxed set. As an “Executive Producer” Jon put together the Archive releases Yes Union CD/DVD and also the Deluxe Edition of the ABWH album and the ABWH Live In Birmingham release. Jon has also interviewed 16 of the 18 members of Yes for his books Yes - Time and a Word: The Yes Interviews which was published by Rufus Stone Publishers in late November 2013 and Dialogue which was published by Stereo33 Books in February 2017. Jon is also about to publish a book on the Genesis album The Lamb: Lies Down On Broadway and a collection of his interviews Tales From The Rock Vaults Volume I. In 2007 Jon Kirkman flew to Austria to interview Edgar Froese for the “Official” promotional interview for the album Madcap’s Flaming Duty celebrating Tangerine Dream’s Fortieth Anniversary. The resulting interview was then pressed up as a limited edition CD and distributed to the press and media worldwide. Jon also works in America and various exotic locations on a number of cruises including The Moody Blues Cruise, Cruise To The Edge and The Lebrewski Cruise. 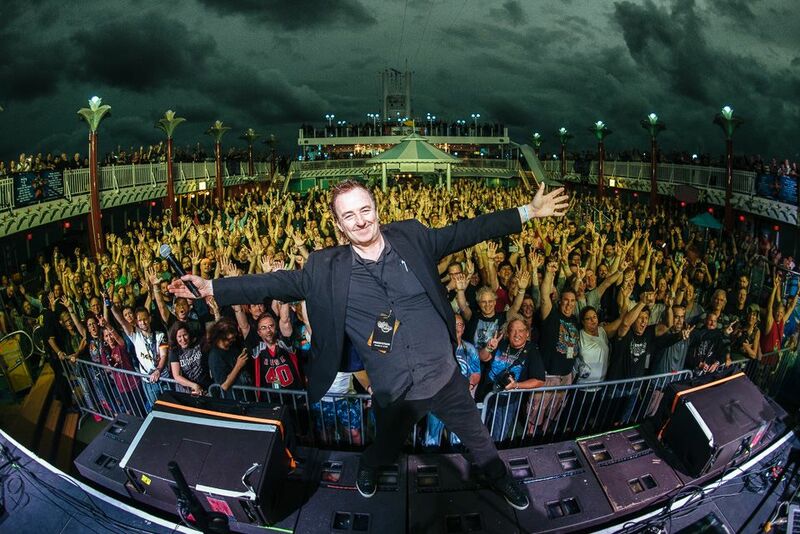 Jon is the main host on these cruises and works with many major names in Rock music on these cruises. Jon also hosts the pre-cruise parties in Florida for these events.